Don’t continue dealing with standing water in your shower or kitchen sink. That build-up could permanently damage your pipes and lead to a bigger drain on your wallet. We provide 24/7 coverage, meaning we’ll come out at any time day or night no matter what the problem is. We’ve performed commercial drain cleaning services for some of the biggest businesses throughout Texas. Clinton Maintenance & Plumbing handles the cleaning of pipes for major clients like Walmart, IHOP, and Taco Bell. Our team can manage complex pipe systems and provide solutions to issues preventing necessary machinery from receiving the water flow needed. Get rid of grease and other waste clogging your pipes and holding up your ability to do business. We respond promptly to any issues and get everything back up and running before you know it. 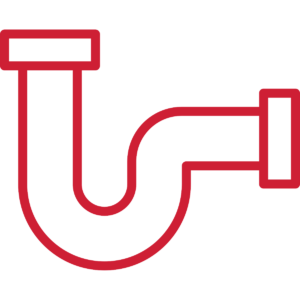 Let us come out and inspect the pipes in your home or business. Clinton Maintenance & Plumbing supplies the following drain-cleaning solutions. Drain Snaking — Great for handling tough clogs in places like toilets. We have manual and automated versions available to use depending on the job in front of us. Hydro-jetting — Using this method clears out even the toughest clogs in commercial businesses. It works like a pressure washer to force waste out and get your pipes working normally. Video Line Inspection — Video provides us with an in-depth look at the state of your pipes. We do this to ensure we don’t damage your pipes and to make sure our efforts were successful. (713) 468-3026 to request a quote for residential or commercial services.